Why Should I Sell Puppies With VIP Puppies? No Limits – Upload as many puppies as you like. Connect Locally – Our store locator connects you to nearby customers, so it’s easier to meet a buyer in person. Easy Litter Upload – Convenient features like our “Duplicate Option” make it simple to upload multiple dogs from the same litter. Avoid Scams – Network with other breeders and sellers. Learn the latest trends. Get industry help and advice. Stay informed of buyer scams. Easy Pricing – No hidden fees here! 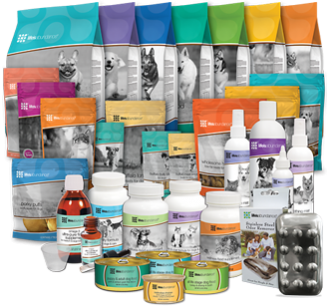 You know exactly how much it will cost to find the perfect home for each puppy or product. Featured Listings – Would you like more visibility? Pay additional fees to be listed on the front page. Contact us for rates. Video Descriptions – Stand out from the others with videos of your puppies or products in your description. Videos do make a difference! To sell on vippuppies.com you must comply with all VIP Puppies Terms and Conditions. In addition, breeder accounts are only available to sellers and breeders 18 years of age or older who can legally create a binding contract between buyer and seller. What does it cost to operate my puppy store? For a mere 19.95 a month, indulge in increased exposure, positive public image, a personalized store front (your-kennel-name.vippuppies.com) and more. No hidden costs. No extra fees. You’re welcome. How do I accept and receive payments from puppy buyers? Getting money just got easier. You can now start getting paid straight from your VIP kennel page. Simply set up a pay-pal account, point customers to your page, and cash is yours to keep. Sellers have the option of a connected PayPal account to receive payments on VIP Puppies. PayPal’s standard rate is 2.9% + $0.30 per transaction. Please reference their website for international sales. Sellers will also have the option of a Stripe account. Stripe has the same 2.9% + $0.30 per transaction as PayPal. However, if you handle a significant number of international sales, their fees are lower. Compare the two here. What about marketing? Do you offer ways to promote my puppy store? Videos. Pictures say a thousand words, but videos are even better. Increase customer engagement with video descriptions. Use your YouTube or Vimeo account. Your Story. Personalize your breeder page with your breeder story. Give the community a chance to know you as a person. It helps build trust, relationships, and ultimately, business. Don’t worry, we have created breeder story templets to make it as easy for you to tell your story. When you sign up, just add your personal details. Participate in our global community forums. Informative discussions and useful answers will increase awareness for your store and show your expertise to customers. Do I need to keep my website running year around? The short answer is, no. It’s your mini-website so you can use it in whatever way you like. However, folks typically aren’t deleting their websites every few months. Similarly we don’t recommend ridding yourself of your mini-website either (unless you’re leaving the dog world for good). By keeping your mini-website running, future customers are able to find you year around and you’ll always have a place to direct interested buyers. Plus, staying open through all four seasons is SEO and google friendly, which means when you’re showcasing your next family of pups, you’ll be higher in Google results and buyers will be quicker to find you. Not to mention it’ll be just a few simple clicks to get your next puppy family listed. What if I have a problem or suggestion? We’re at your fingertips. If you have questions about the website, concerns regarding a transaction, or suggestions for your page just let us know. Use the chat box located at the bottom right of every page, or give us a bark here. How is VIP Puppies different from PuppySpot, PuppyFind, Greenfield Puppies, and every other dog selling website? At VIP Puppies, you get your very own personalized mini website where you are in control of what happens. From setting your price (we won’t mark it up!) to including family photos and linking social channels, you can leverage your mini website just as you would a full scale on-line store. Except at a much lower cost. Plus, dog lovers can keep coming back to your website and are able to contact you year around. When you don’t have puppies listed, folks can still find you either through the VIP breeder list or at your personalized website address. Also inside your website, future customers can sign up to be notified when your next litter is birthed. Already have your own website created? Simply link your VIP mini website to your larger site for better SEO (Search Engine Optimization). All this and more is yours for just $19.95 a month. How long before I can sell my puppies? While most states have a specific age requirement for puppies being sold, typically a puppy must be at least eight weeks old before being offered for sale. What are good websites to sell puppies? VIP Puppies offers a safe place for quality breeders across the U.S. to sell puppies online. Additional places to sell puppies include Lancaster Puppies, Greenfield Puppies, and Puppy Find. How many puppies can I sell? While VIPpuppies.com places no limit on puppies listed, many states have regulations governing commercial and hobby breeders. Check your state’s breeder regulations for how many puppies are legal to sell. Got Questions About Dog Breeding? they respond and the efforts they put to keep everyone happy!! We mark it a pleasure and a blessing to have VIP Puppies do our advertising!! Would absolutely refer them to anyone and give them a 5 star rating!!" determined to help responsible dog breeders succeed. Our only question is, will it be you?"